Stem cells taken from bone marrow may substantially improve corneal wound healing in horses, evidence from a study suggests. 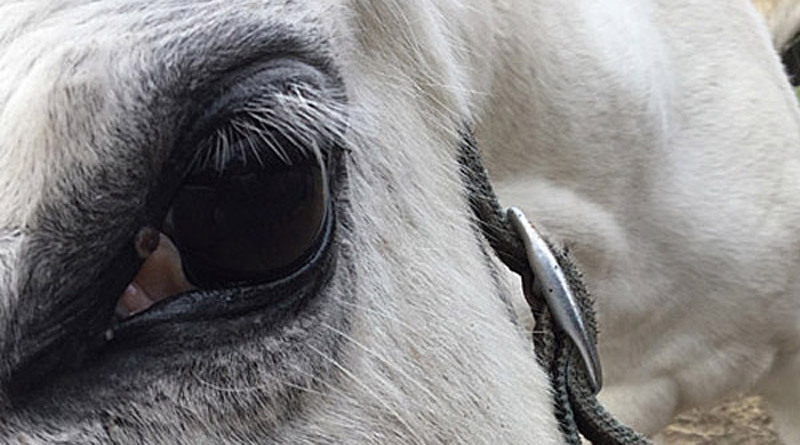 Eye injuries are common in horses, most likely because of the size of their eyes and their prominent position in the head. Researchers from the North Carolina State University College of Veterinary Medicine conducted a laboratory experiment to assess the performance of stem cells taken from bone marrow in the breast bone of five horses. Amanda Sherman and her colleagues, writing in Stem Cell Research & Therapy, described the process by which they collected and isolated the autologous bone marrow-derived mesenchymal stem cells for their study. Mesenchymal stem cells are multipotent connective-tissue cells that can change into a variety of cell types to form the likes of bone, cartilage, muscle and fat. The supernatant solution – comprising cell-medium sediment left over from the centrifuging process – was also used in the study to compare its performance against the stem cells. A naive culture media was used as a control. Corneal stromal cells were cultured and transferred on to six collagen-coated plates. A scratch was then placed the length of these equine corneal fibroblast cultures using a fine pipette. The plates were then exposed to either the stem cells, the supernatant solution or the naive culture medium. The researchers reported a significant percentage decrease in the scratch area remaining in the stem cell and supernatant groups compared to the control group after 72 hours. The decrease was significantly greater in the stem-cell group compared to the supernatant group 36 hours after exposure and at all times thereafter. The performance of the supernatant solution was most likely due to the presence of the growth factor TGF-β1, which was identified on analysis. TGF-β1 was found in even greater concentrations in the stem cell group. The researchers concluded that the use of autologous bone marrow-derived mesenchymal stem cells may substantially improve corneal wound healing in horses. The supernatant solution may also improve corneal wound healing, given the significant decrease in scratch area compared to control treatments, and would be an immediately available and cost-effective treatment option, they said. The researchers said studies in live horses were warranted to evaluate the potential treatment’s safety and effectiveness for corneal wound healing. The university’s study team comprised Sherman, Brian Gilger, Alix Berglund and Lauren Schnabel.